Keep your Concord hot tubs & spas in tip top shape with our routine services. Hot tubs & spas raise the value of your home in Concord, North Carolina, but only if they are kept in working order. Hot tubs & spas are perfect for relaxation, but only if you are not stressing out about cleaning or repairing them on a regular basis. Here at Cayman Pool & Spa, we can take the stress out of owning hot tubs & spas. Regular cleaning services, including caring for the unit, checking the chemical balance and making any needed adjustments, and checking the equipment. Repairs as needed when something goes wrong. Supplies available at our stores, including covers and chemicals. If you suspect that there is a problem with your water’s chemical balance, you can bring in a sample for us to test. When the water is balanced, all the chemical parameters are in the proper range. We will check the pH, the total alkalinity, and the calcium hardness. 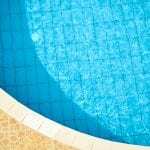 Temperature can also affect how water performs in your hot tub. If you are ready to choose your new hot tub or spa, give us a call or come by and visit one of our stores. We carry multiple brands, including Dolphin, Maytronics, Haywood, Zodiac, Polaris and more. Get ready to relax in your very own spa!